As umbrella connoisseurs, we’re obviously BIG fans of the rainbow brollies and the cheery touch they’ve brought to the shopping district… come rain or shine! This isn’t the first time we’ve seen or heard of Umbrella Street, either. There was a similar display in Agueda in Portugal in 2011. Photos of it were shared the world over and with the installation proving so popular, it’s been followed up with more displays every summer since then. They’ve been seen decorating Borough Market in London, as well as Anne’s Lane in Dublin. Who knows where they’ll pop up next…? Simple yet incredibly effective (not unlike our own umbrellas) these brollies have all done a great job of attracting attention with their striking appearance while proving their worth by providing shoppers with some shelter from the elements as well. Who says functional can’t be beautiful?! Here at The Umbrella Workshop, we pride ourselves on producing beautiful umbrellas with top quality printed designs on behalf of some of the world’s most famous names in food & drink, travel & tourism, fashion & retail, health & beauty – to name but a very few. 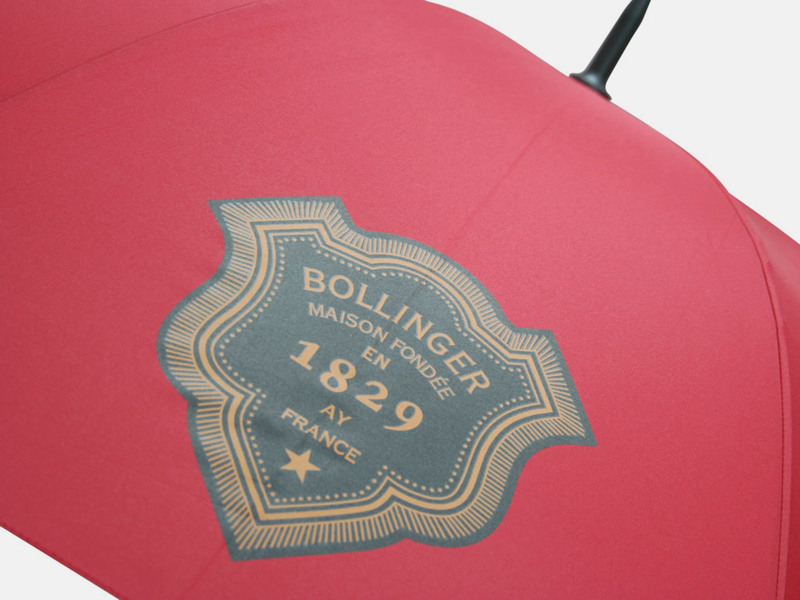 Check out our printed umbrella gallery to see some of the stunning designs in our portfolio. We’ve worked with everyone from Bentley and Bollinger to Monaco Tourism and RBS, so you’ll be in safe hands working with the trusted and experienced team at The Umbrella Workshop. Send us an enquiry now!